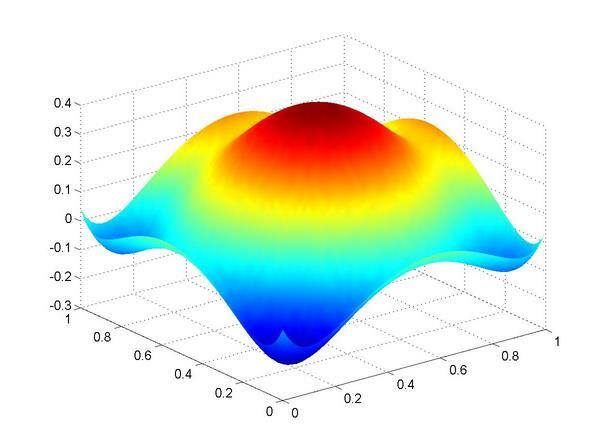 Differential equations have a remarkable ability to predict the world around us. They are used in a wide variety of disciplines, from biology, economics, physics, chemistry and engineering. They can describe exponential growth and decay, the population growth of species or the change in investment return over time. A differential equation is one which is written in the form dy/dx = ………. Some of these can be solved (to get y = …..) simply by integrating, others require much more complex mathematics. One of the most basic examples of differential equations is the Malthusian Law of population growth dp/dt = rp shows how the population (p) changes with respect to time. The constant r will change depending on the species. Malthus used this law to predict how a species would grow over time. More complicated differential equations can be used to model the relationship between predators and prey. For example, as predators increase then prey decrease as more get eaten. But then the predators will have less to eat and start to die out, which allows more prey to survive. The interactions between the two populations are connected by differential equations. 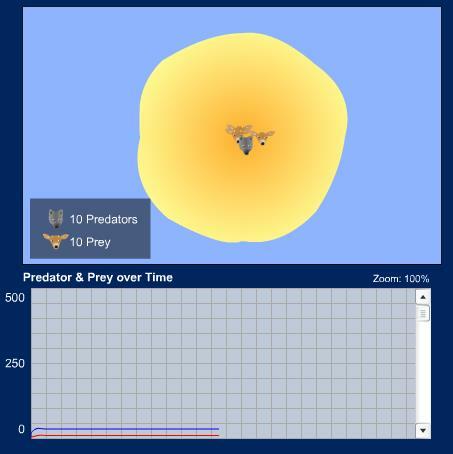 The picture above is taken from an online predator-prey simulator . This allows you to change the parameters (such as predator birth rate, predator aggression and predator dependance on its prey). You can then model what happens to the 2 species over time. The graph above shows the predator population in blue and the prey population in red – and is generated when the predator is both very aggressive (it will attack the prey very often) and also is very dependent on the prey (it can’t get food from other sources). As you can see this particular relationship generates a population boom and crash – the predator rapidly eats the prey population, growing rapidly – before it runs out of prey to eat and then it has no other food, thus dying off again. 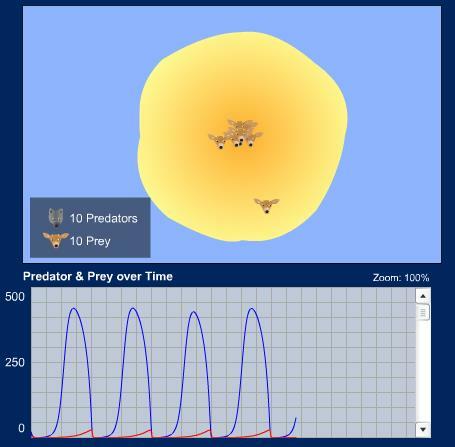 This graph above shows what happens when you reach an equilibrium point – in this simulation the predators are much less aggressive and it leads to both populations have stable populations. There are also more complex predator-prey models – like the one shown above for the interaction between moose and wolves. This has more parameters to control. The above graph shows almost-periodic behaviour in the moose population with a largely stable wolf population. 5) In physics to describe the motion of waves, pendulums or chaotic systems. With such ability to describe the real world, being able to solve differential equations is an important skill for mathematicians. If you want to learn more, you can read about how to solve them here. I’m interested in looking into and potentially writing about the modelling of cancer growth mentioned towards the end of the post, do you know of any good sources of information for this? is there anywhere that you would recommend me looking to find out more about it? If you read the wiki page on Gompertz functions [http://en.wikipedia.org/wiki/Gompertz_function] this might be a good starting point. This function is a modified exponential model so that you have rapid initial growth (as in a normal exponential function), but then a growth slowdown with time. You could use this equation to model various initial conditions. I was thinking of using related rates as my ia topic but Im not sure how to apply related rates into physics or medicine. I was thinking of modelling traffic flow using differential equations, are there anything specific resources that you would recommend to help me understand this better? I have a paper due over this, thanks for the ideas! « Is Maths Invented or Discovered?